Mustafa Ahmed started writing at the age of ten as a means of expressing himself and reflecting on society. His poetry touches on the subjects of poverty, drugs, violence, and immigration. Living in Regent Park, Canada’s first inner-city housing project, Mustafa was exposed to the experiences and lifestyles he writes about. Mustafa has performed in association with the Children’s Aid Society, the Toronto District School Board, Hot Docs, and TEDxToronto. You can now purchase his debut EP, either as a CD or digital download, at mustafathepoet.com. Poet Mustafa Ahmed spoke about his friend, Yusuf Ali, who was the definition of resilience for Ahmed. Yusuf Ali was killed in their community of Regent Park two days before Ahmed spoke at this Walrus Talks. Ahmed’s impassioned talk compares this death to a fire that he implores the audience to step closer to. And to take all the positive energy that Yusuf gave to his community and use it to fuel something positive. You can listen to Ahmed’s talk or read it below. Ihave a friend. My friend’s name is Yusuf. Yusuf is a great person, a great leader, a great basketball player, a great athlete. We went to the same elementary school together. We went to the same middle school together. We went to the same high school together. But more importantly, we’re from the same community and we shared the same struggle. Going through school, he was the definition of resilience. Whether it was standing up to the bully in the playground, or whether it was that the last 15 seconds of the game that we weren’t giving up hope even though we were down four points, he was the definition of resilience for me. The thing is, what happens in a community like Regent Park where I’m from, an inner-city community, a lot of times people choose different paths. Resilience is not about going back to your original form. Resilience is about adapting and it’s about growing. And so sometimes it’s hard for people to grow living under certain circumstances. And eventually after high school we started to part from each other, but that didn’t mean that we didn’t still spend time with each other. It just mean that we were doing different things and that we were motivated by different things, and he got caught up in a lot of things that weren’t very positive in Regent Park, and I continued, steadfast on the route with school. 72 hours ago we celebrated Eid together, at a cafe and a restaurant and we danced to music that our friends were making and we had a great time. And I thought to myself right there, you know what I’m going to do? I am going to be successful for everyone in my community and I’ll become the plug for everyone to get to where they need to get to without doing all the negative things that they’re doing. 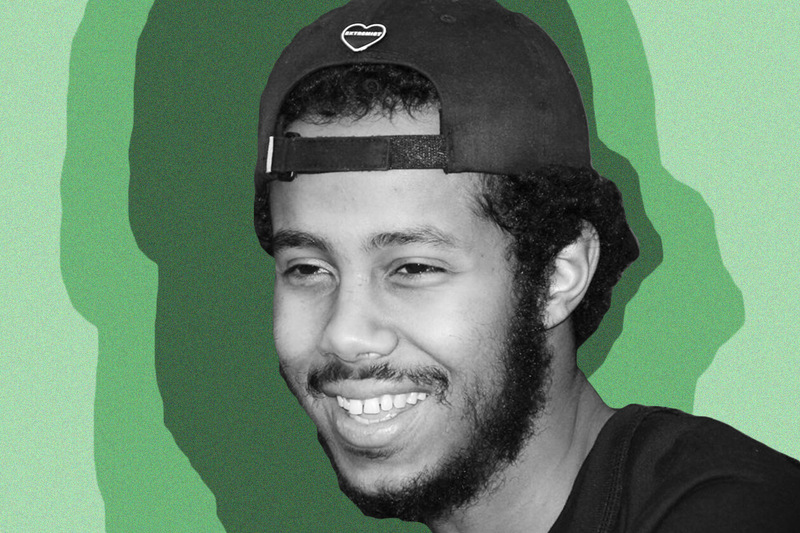 48 hours ago, my friend Yusuf was shot and killed in Regent Park. He was standing with two of my other friends and someone came for him. He was targeted, and he was shot numerous times, even when he was on the ground, he was shot twice in the head, few times in the chest. And regardless of how successful I become, Yusuf is not going to be a part of that success. But I’m here today because this is what it means to be resilient. I don’t know what my friends are going to do about this, but I know what I am, because the most important thing for me to do is make sure Yusuf didn’t die in vain. I’m here to talk to you guys about bravery, I’m here to talk to you guys about pursuit. Because that’s what Yusuf did. That’s was what Yusuf was – that person that everyone looked up to. He was a leader in true form. And for me, if you guys can come right now and think of Yusuf and think of his death, think of his life as a fire. You know, when you see that three people died on Monday October 6th, three people died, two people were fifteen and seventeen years old, on their lunch break … they were in high school, good kids. And that he died on his way to the store, things like this, I think it’s about looking at it and seeing it as a fire. When you look at a fire, you can stay very far away and just something, however you want to view it, something beautiful, something tragic, and the closer you go, the more heat you feel. I decided today that I’m going to bring the fire right to you guys, so you can feel the heat. If you guys want, you guys can touch the fire and be burned by this fire. And maybe that will motivate you guys to do something. But you know what? At the end of the day, I’m not going to tell you guys what the solution is to inner-city violence. I just want you guys to feel. That’s it. That’s my only job as an artist is to make people feel, because I truly believe that that each and every single one of you – you guys all have your own skill set, and that if you guys gather a certain amount of energy, and passion, you guys will be able to find ways to break stereotypes, to go into communities to create change. If another person dies, that’s not going to help Yusuf wherever he is. The funeral is on Friday, and if we have another funeral two days afterwards, that is not going to make him rise from the dead. It’s not going to do anything for him. But it’s about making sure that Yusuf is someone that is celebrated. In all of the good and positive things. And all the good and positive energy that Yusuf gave all of us — that it is used to fuel more good. And so, I’m going to share a piece with you guys today that I often like to share with the people of my community. Just so I can help them understand what it means to continue growing and adapting. And that sometimes the people you grew up with aren’t the ones that you need to stay with. You know, some people can grow, and some people will remain stagnant, but you have to be able to continue evolving and adapting, and growing. There’s some friends that you have that will continue pulling you back, and they may not do it because they don’t like you. They actually love you. But the thing is that there is a difference between good friends and good people. A good friend of yours might be very close to you but they may not be a good person. They may not help you grow. They may not help you evolve, but that’s because deep down within themselves, they have still not done that for themselves. If someone can’t care for themselves, they can’t care for you either. And so, without further ado, I’m going to share a piece, and this piece is entitled “Close” and this is for all the friends of Yusuf, and for myself, and perhaps you guys can take something from this as well.